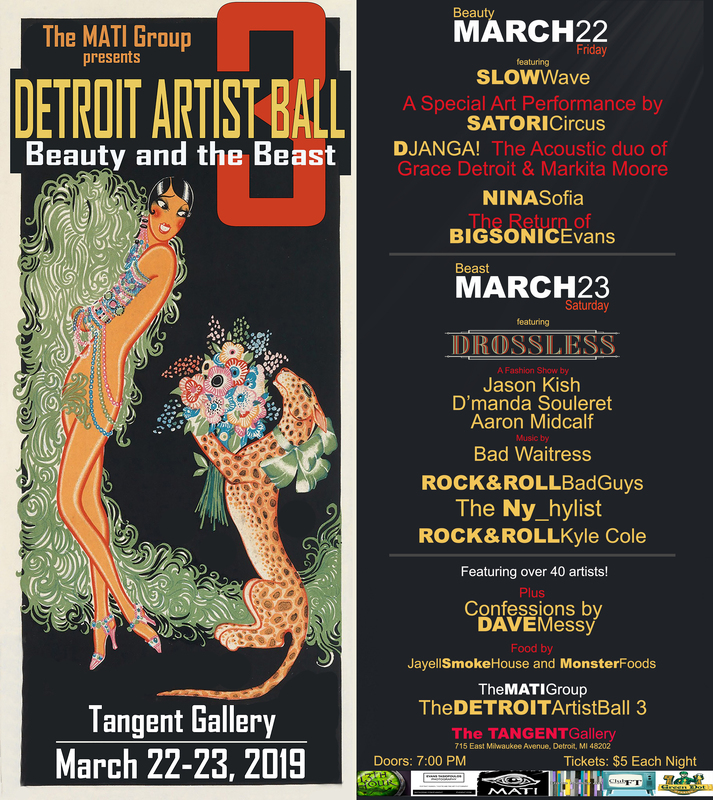 Join us on March 22nd and 23rd at the Tangent Gallery for the Detroit Artist Ball 3 presented by The MATI Group. It will be a celebration of Detroit Music, Fashion and Art! The Detroit Artist Ball will feature over 40 Detroit area artists! This year’s theme is Beauty and the Beast! We encourage people to dress up for both nights!